DearMob iPhone Manager lets you securely transfer iPhone data like your photos, videos, music, contacts, books, ringtones, voice memos and more with optional built-in encryption, the ability to remove DRM protection and more—no iTunes required whatsoever. 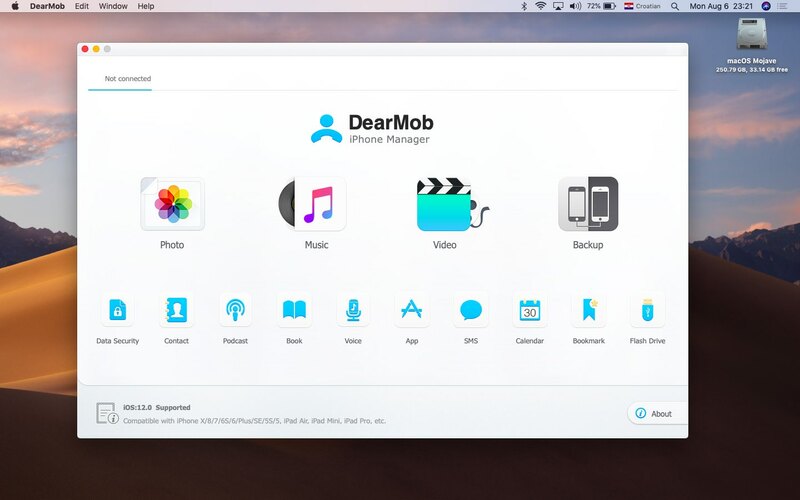 Created by DearMob, DearMob iPhone Manager is a lot easier to use in comparison with other typical desktop apps for browsing the contents of your iPhone, iPad and iPod touch. None of its advanced features requires desktop iTunes nor any other software for that matter. With iOS 11 and recent iTunes changes, you can no longer sync or transfer apps using your computer. Making matters worse, there are other annoying limitations on file backup and transfer in iTunes. 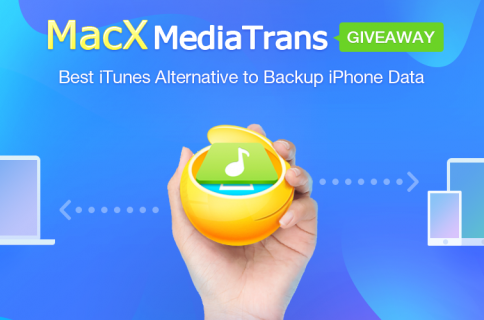 Isn’t it’s high time you considered a modern iPhone backup tool? As you can imagine, the app lets you back up and restore all or just a set of specific files. 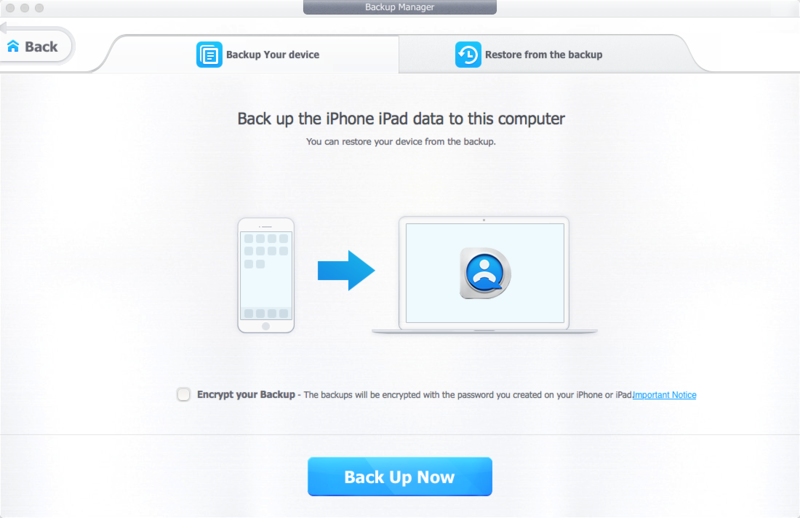 Choosing to back up all the data from your iOS device to your computer will permit you to manage your backups and retrieve them by record. But more importantly, DearMobie iPhone Manager lets you restore your backed up data back to your iOS device with just one click, completely bypassing the slow and bloated desktop iTunes. Running a full backup offers you the option to exclude certain items or even include invisible files, like the trashes. The more you use your device, the more cruft is accumulated on it in form of caches, temporary items and deleted files. 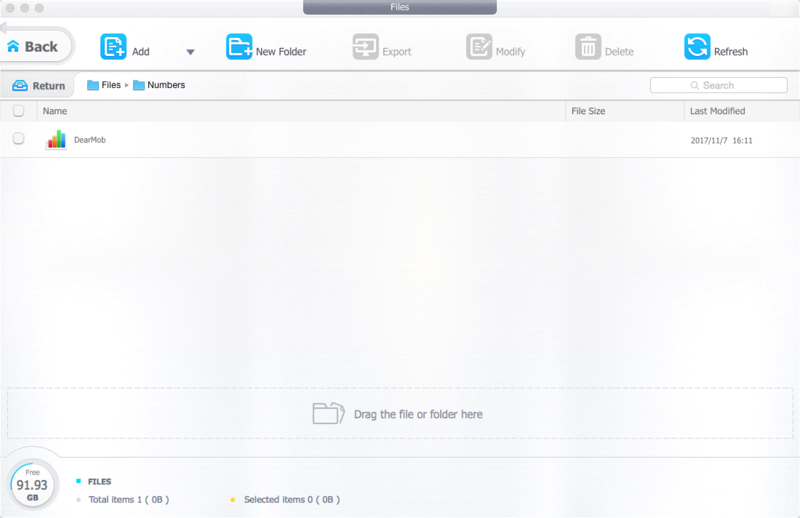 With DearMob, you can choose whether to include any trashed files in your backups or not. Conversely, choosing to back up your iOS device data separately will let you cherry-pick what you’d like to transfer: contacts, SMS and iMessages, photos, videos, music, podcasts, books, ringtones, voice memos, your Pages, Keynote, Numbers and Garageband files, and more. 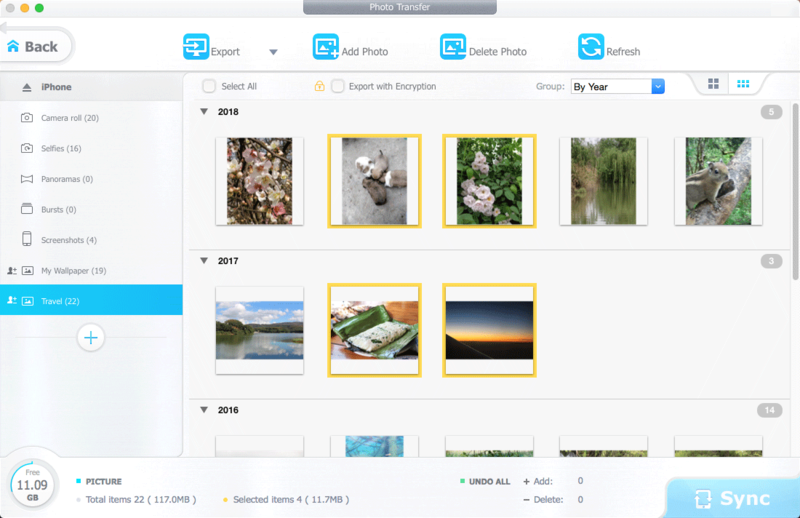 As a cool bonus, all those exported backup files can be safely protected with US military-grade encryption (they support 256-bit AES, 1024-bit RSA, PBKDF2 and Argon2 technologies). But beware, as the only way to open the file is to decrypt it with the correct password. The encrypted file overwrites the original data directly to keep it protected when it’s being synced with iCloud and ensure it remains safe even if a rogue party intercepts the transfer. 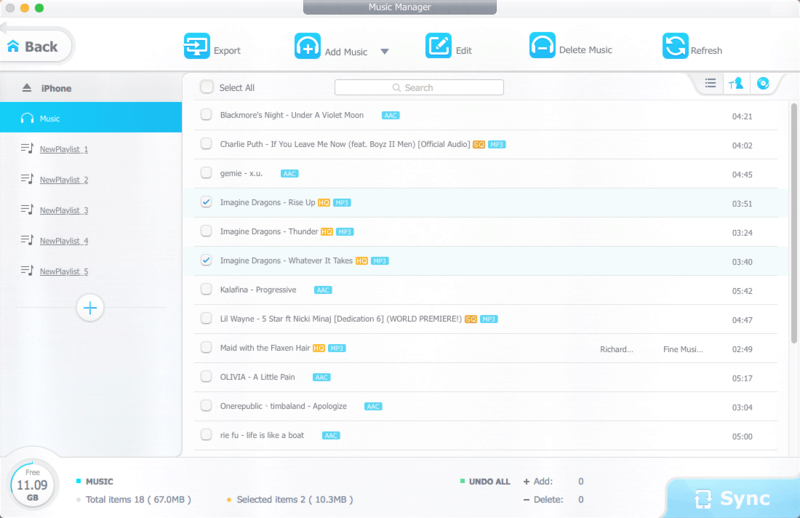 And to reiterate, all of the aforesaid features are available to the users of the app without ever touching desktop iTunes or having to share their purchases with other account holders. DearMob iPhone Manager supports other features, too, include the ability to side-load apps without a jailbreak, mount an iOS device as a USB flash drive, sync Safari bookmarks with other browsers, delete files, turn HEIC into JPEF, rotate and convert up to 8K videos for playback on your iOS devices, sync your stuff two-way and more. My personal favorite: easy ringtone creation! 1) Open DearMob iPhone Manager on your computer. 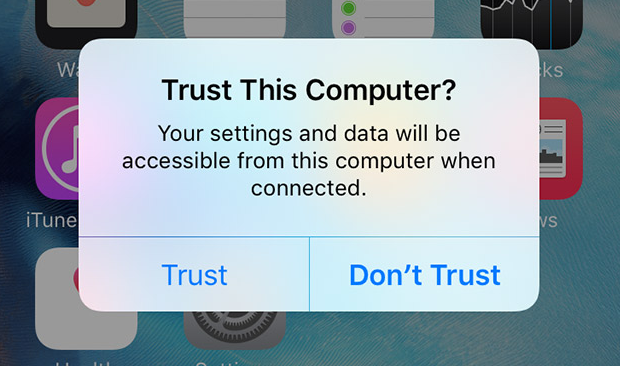 2) Connect your iPhone, iPad or iPod touch to the computer with via USB, then tap the Trust button on the “Trust This Computer” prompt that may pop up on the iOS device. 3) Click the type of items you’d like to back up, like Photos or Videos. 4) Select all of the items you’d like backed up, then click the Export button. 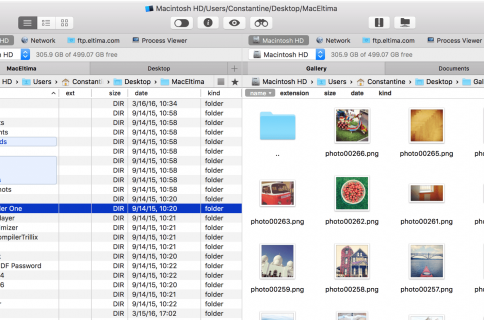 A backup file containing the selected iOS device data will be saved to your computer. 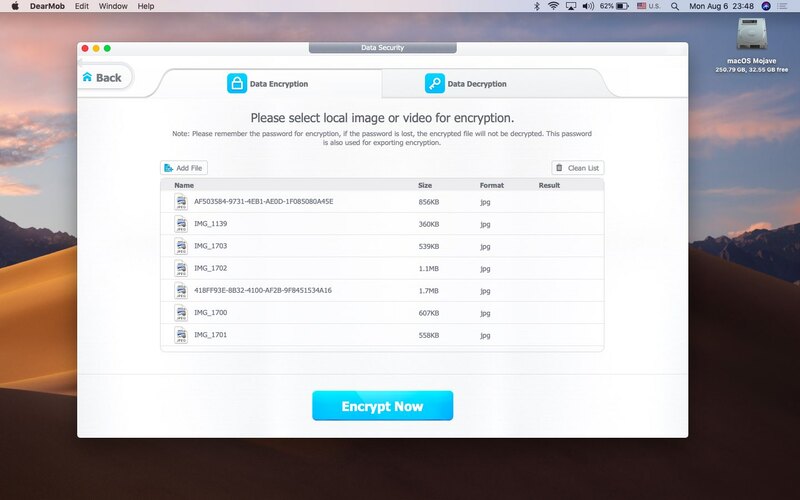 TIP: To have your private stuff like messages and photos safely encrypted so that no one can see or browse the files without your password, tick the box next to “Export With Encryption”. You can even reduce the size of videos over 1GB right from the app, optionally. I wholeheartedly recommend checking out the full guides covering other aspects of DearMob iPhone Manager through their official website over at 5kplayer.com/iphone-manager. Thy even have maintain separate tutorials for Mac and Windows. 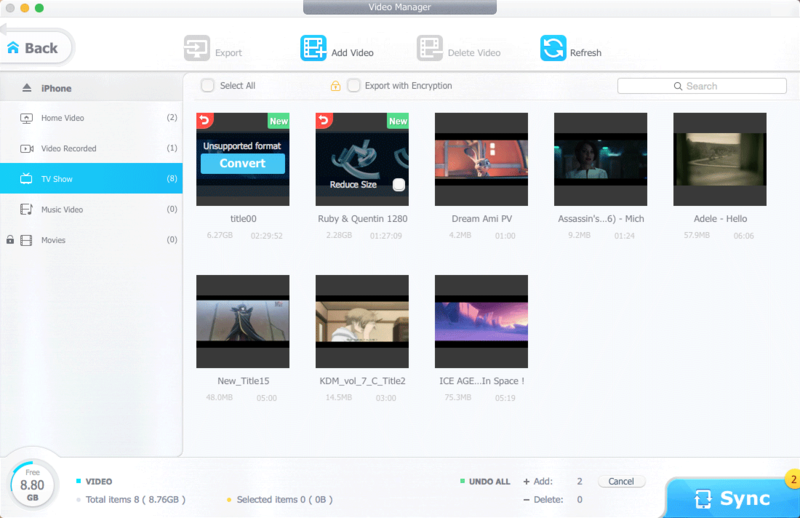 If some of your media is copy-protected using a Digital Rights Management (DRM) system, like movies and TV shows from iTunes Store, DearMob can handle that, too! Specifically, you can transfer purchased iTunes movies to a computer stripped of DRM. If the app detects a DRM-protected video during the export operation, it will pop up a dialogue saying that the movie is protected by iTunes DRM. Click Remove and just like that, you’ll have the DRM-free video on your computer. 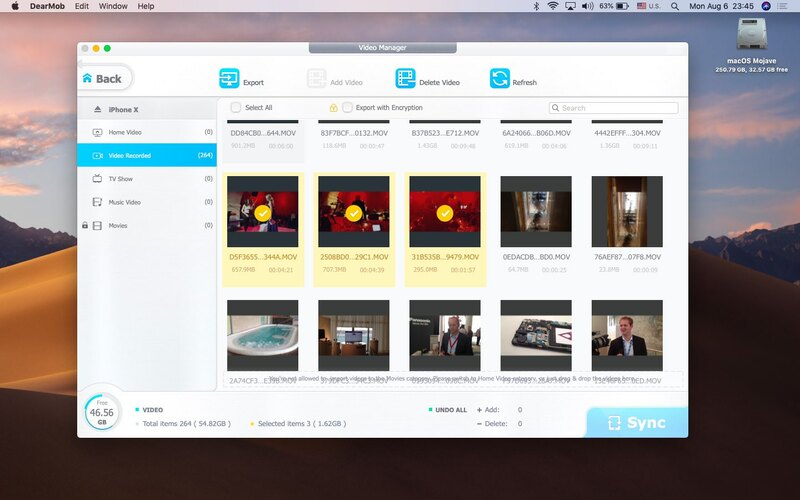 With DearMob iPhone Manager, you can even prevent others from viewing your media files by password protecting, say, you’re private videos and photos. Due to Apple’s sandboxing requirements, DearMob iPhone Manager is not in Mac App Store. Instead, grab a direct download from the official website. DearMob iPhone Manager supports iOS 12 and the latest devices, like iPhone X. A 1-year license support a single Mac computer is available in exchange for $39.95. If you’d like to use all the features for a lifetime, buying a $47.95 lifetime license for 2 Mac computers is you best option. There’s also a family license ($69.95) that gets you lifetime licenses for up to three Mac computers, plus you get their Video Converter app at no additional charge. Discounts on licenses area available during the promotional days. To try out before you buy the app, grab a free version that offers the complete set of features as of version 2.6. Keep in mind that the free version won’t let you upgrade to future releases or access their lifetime customer service. 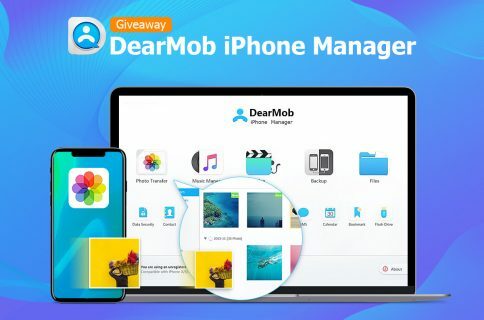 After downloading the free version, don’t forget to register your copy of DearMob iPhone Manager with the giveaway license code that’s included in the ZIP download. And as I mentioned earlier, you can get your lifetime license for DearMob with a nice 30 percent discount, but only during the promotional days. Do you use specialized desktop apps to bypass iTunes, at all? If so, what’s your Mac or Windows program that lets you browse the files on your iOS device, create backups, restore devices from backups and more? Share your secrets with fellow readers in the comments down below.